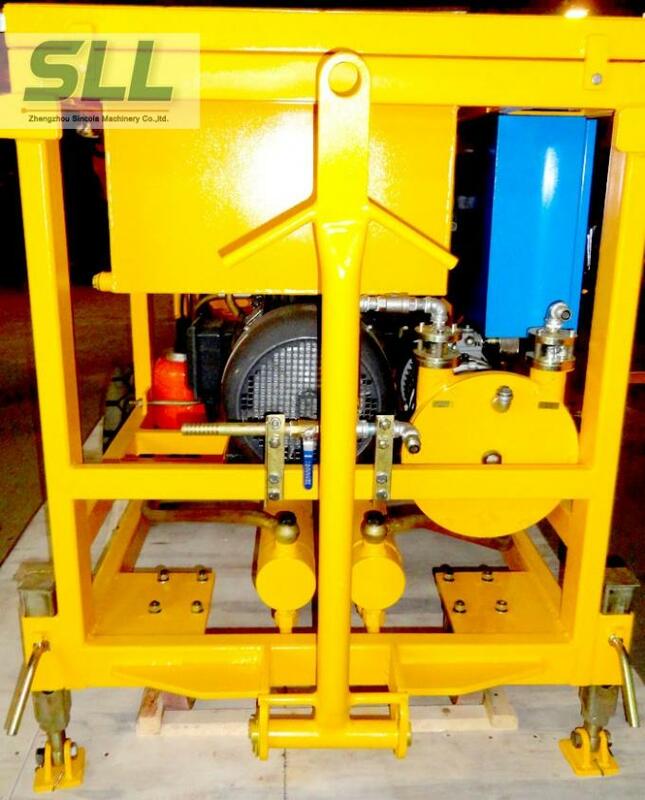 SPB7 Wet shotcrete pump, it is one kind hydraulic double-piston concrete pump, suitable for the pumping/grouting of wet ready-mixed concrete/mortar/refractory material. 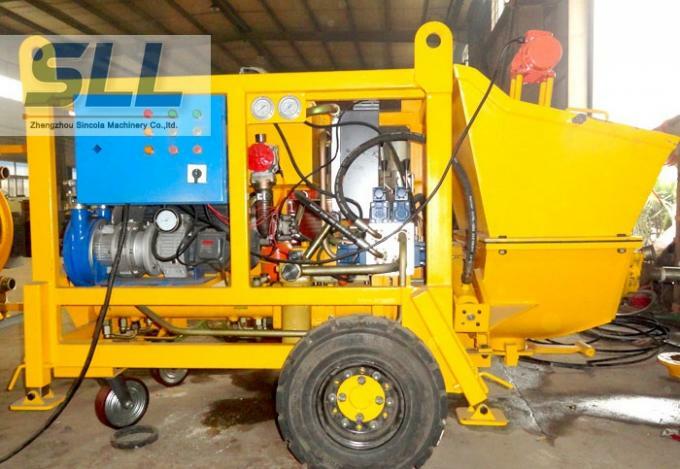 Equipped with liquid accelerator dosing system and nozzle assembly, it is a shotcrete pump, suitable for spraying the wet ready-mixed concrete. 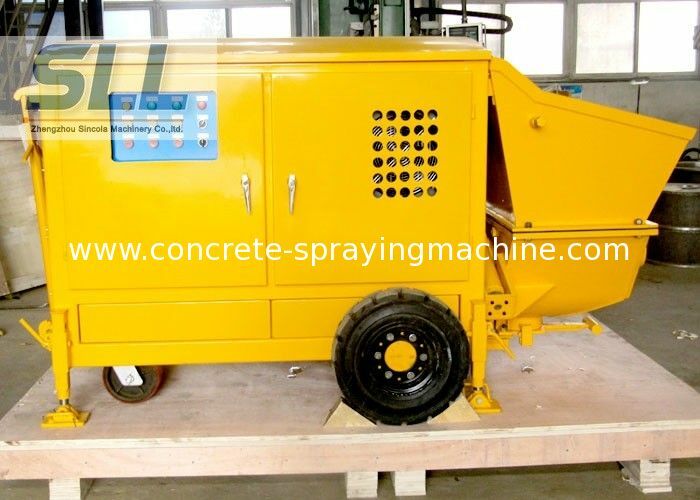 Wet mix shotcreting for the permanent and temporary rock support in tunnels and mines, sloping engineering etc. Pumping, grouting or spraying of the artificial soil seeding, mortar and refractory material, etc. 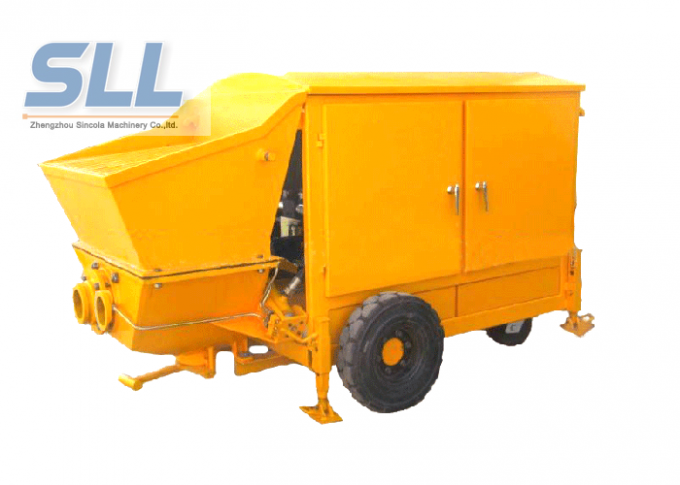 Artificial soil seeding for no soil surface, such as rock, sand, and for no fertility soil surface. 1). 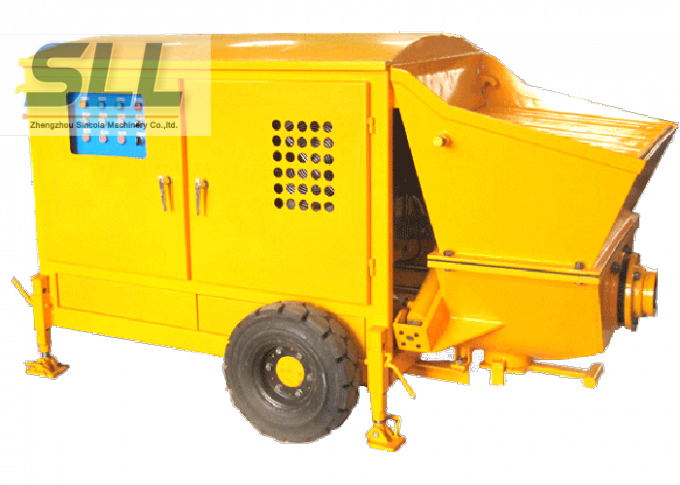 A high efficiency machine with a longer conveying distance, horizontal 120m and vertical 50m. 3). Two independent oil pressure circuits. 4). Setting of the desired dosing values by hand-wheel of the dosing pump. 9). Low weight & small size both are the advantages for transport. 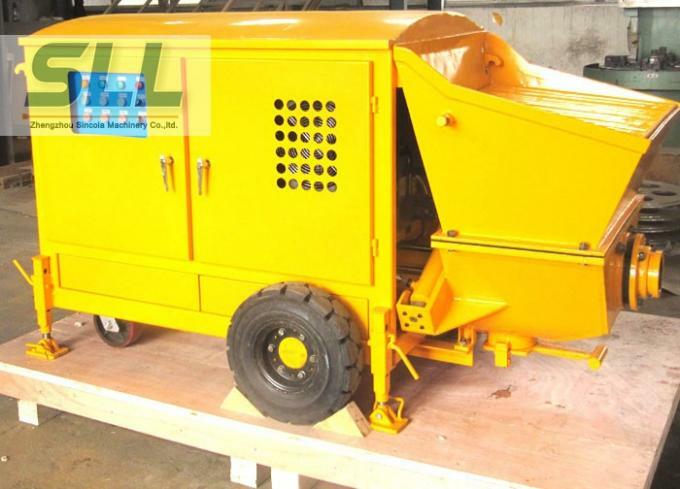 Suitable for steel fiber concrete pumping and injection. Low weight is an advantage for transport. Hope get your feedback, and establish a long cooperation with you.